RoCKS' third annual Murder Mystery is quickly approaching. 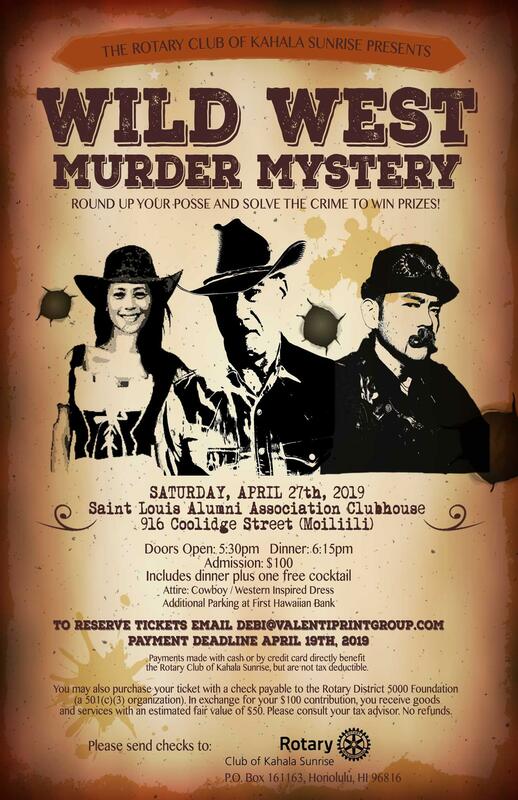 This year we will be celebrating a "Wild West" theme at the St. Louis Alumni Clubhouse on Saturday April 27, 2019 from 5:30 p.m. - 9:00 p.m. Cost is $100 for dinner, 1 free cocktail and a great time solving this Wild West Mystery with fellow Rotarians and Friends. Please join us for an evening of fun and entertainment as we all raise funds to support RoCKS' educational projects and scholarships.